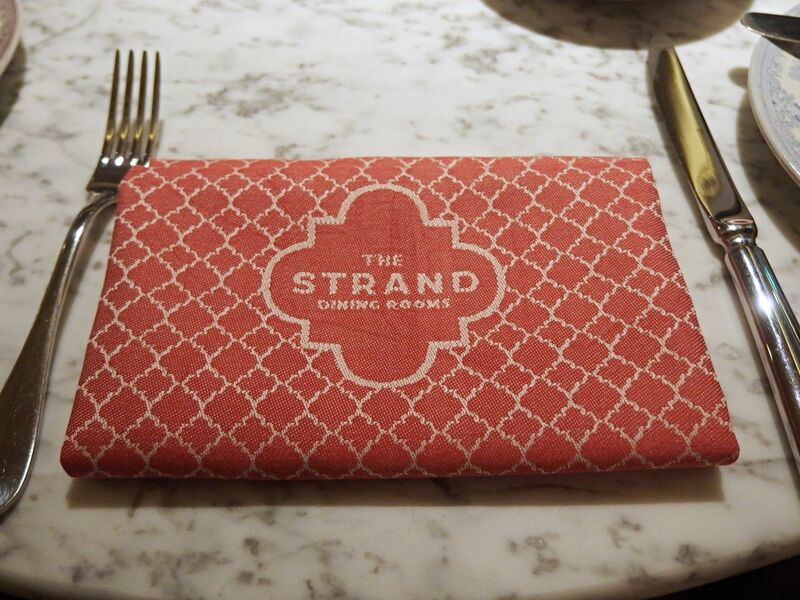 Nestled off the corner of Trafalgar Square and adjoining with The Strand is The Strand Dining Rooms. The restaurant which offers breakfast, lunch and dinner opened it’s doors back in July, so it was about time I made a visit. 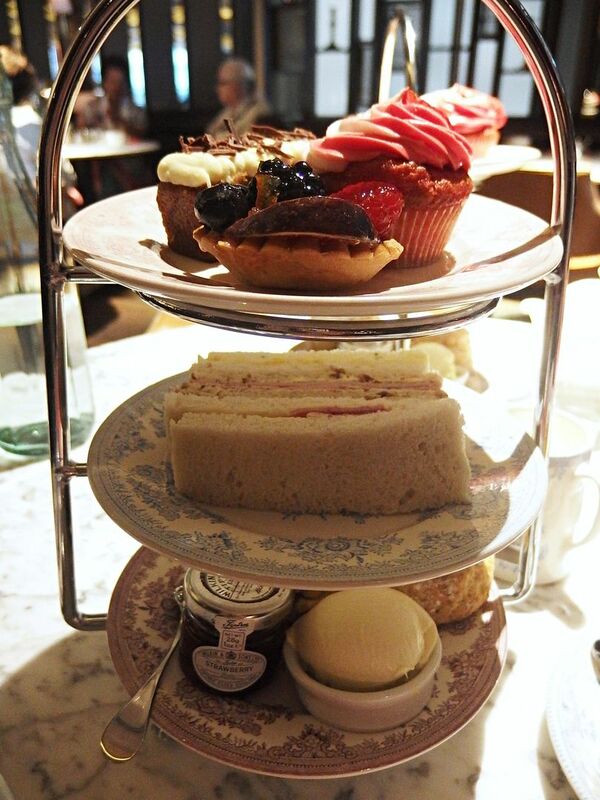 On Sunday Danny and I decided to try out their Afternoon Tea and it did not disappoint. 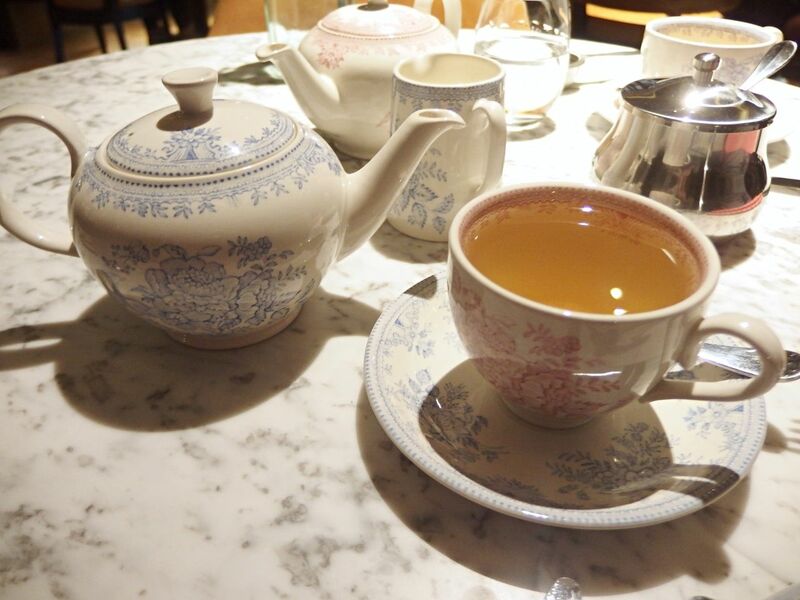 The location is such a perfect spot to go for Afternoon Tea as it’s right in the heart of the City and if you are visiting London then it would be a great place to refuel before continuing your sightseeing. Inside it really is like a dining room, with its well thought out booths and seated sections. At the front you got a lot of light in through the big windows which is a great breakfast area, or for later in the evening at the back is where the larger area is and has more dim lighting. It’s darker but not too dark or anything, just not the best for taking pictures, so please excuse my slightly grainer photos today! The waiters and waitresses are ever so helpful, our waiter was on his first day and was super lovely and seemed more than happy to be helping us, even in his tweed waistcoat. Which wasn’t just him making a fashion statement, they all wear it for uniform. Which gave the place a very traditional feel. Now onto the tea! 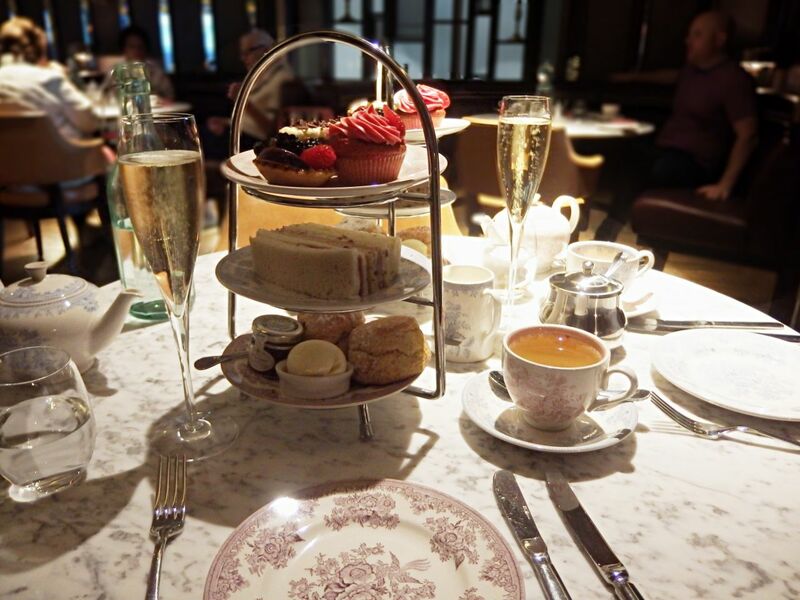 We had the champagne afternoon tea which is £29 per person. 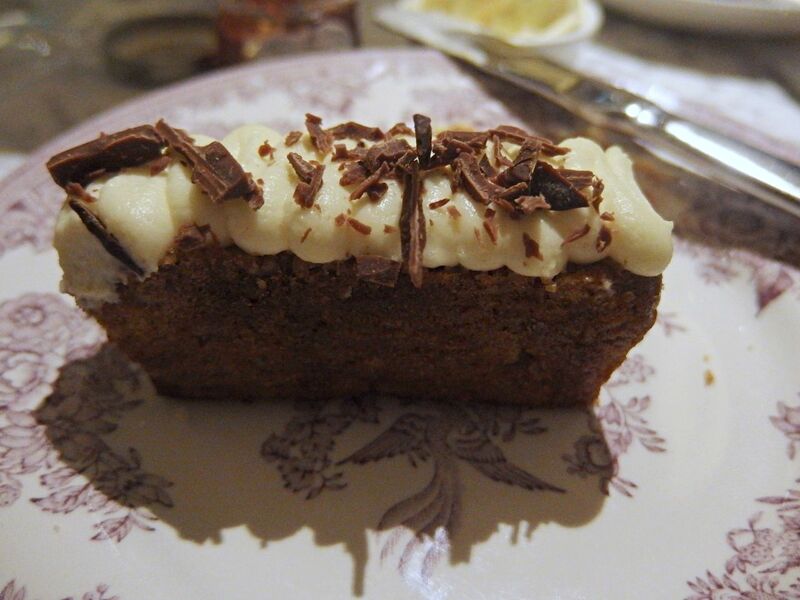 With this you get a glass of Delamotte NV Champagne, tea of your choice, sandwiches, cakes and scones. 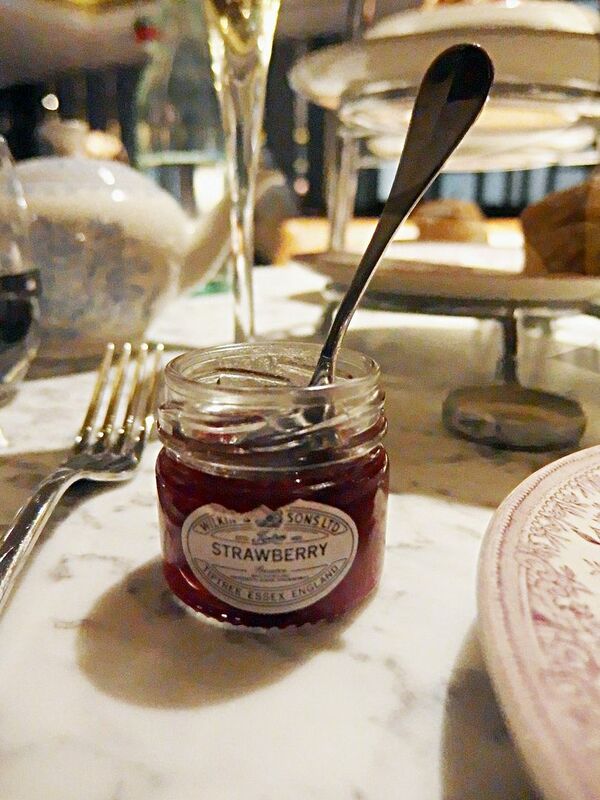 It’s all a pretty standard afternoon tea, with no gimmicks just really good food. 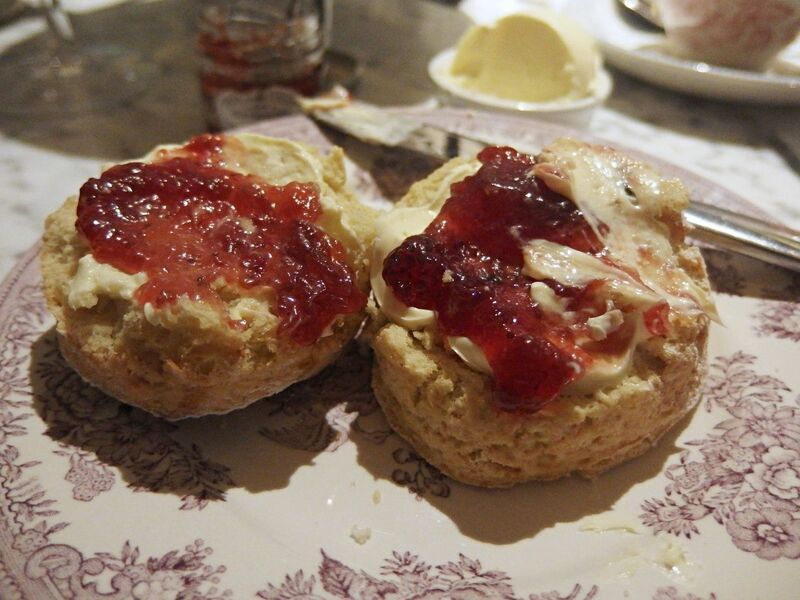 The scones were still warm and there was a fruit one and also a plain. Both delicious. The cakes looked good enough to eat and of course that they were. 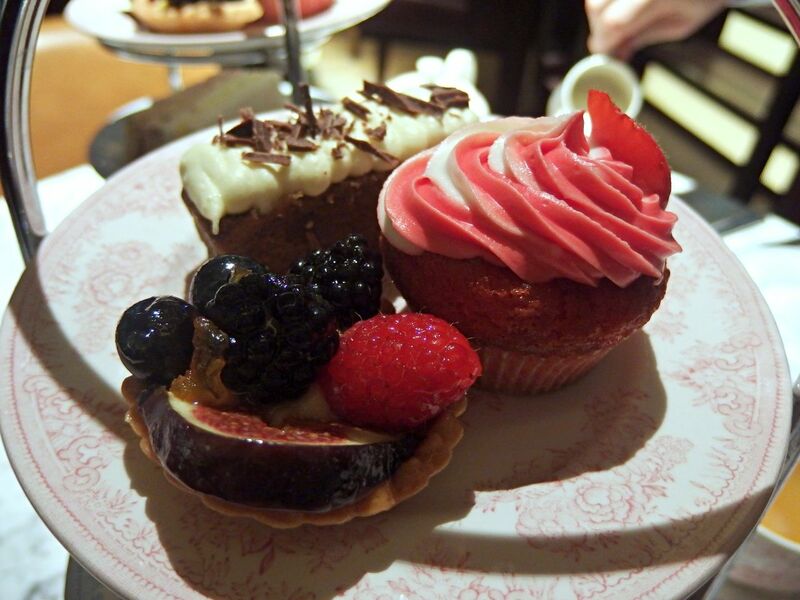 There was a selection of a fruit tart, a carrot cake with chatelier creme and chocolate curls which was really tasty and then my favourite was the strawberry cupcake, the sponge was strawberry and complete with icing and a strawberry on top, oh and a strawberry jam substance oozing out the middle! Completely scrumptious. I really enjoyed the tea here and was completely stuffed after it. It’s clear head chef Michael Beugnet knows his food and I would definitely go back to try lunch or dinner. 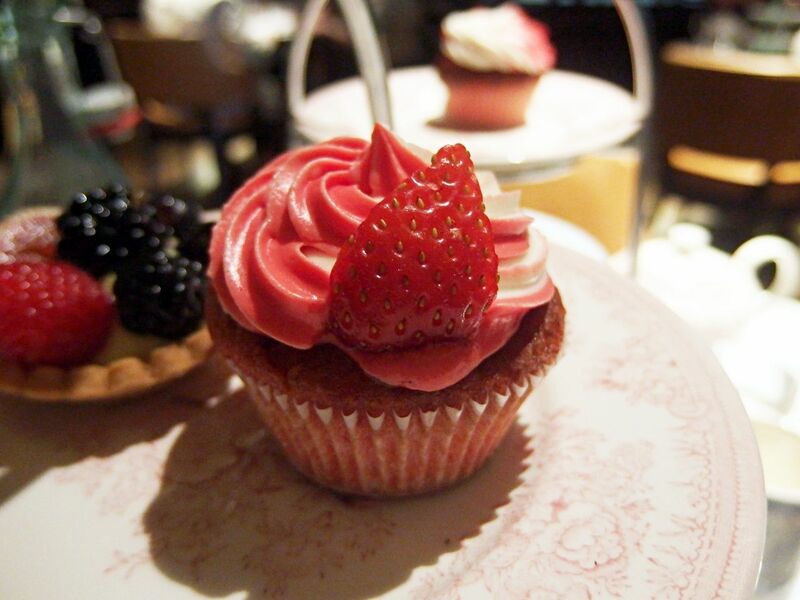 Afternoon Tea at The Strand Dining Room is £21 pp or £29 pp with champagne. For more details and to book visit thestranddiningrooms.com.